We print on a wide variety of materials which include paper bar-code labels for standard use and polyester and polypropylene bar-code labels for more harsh environments. 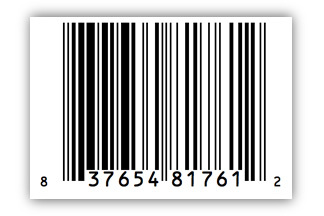 Some popular barcode labels include UPC labels, ISBN labels, and QR labels. 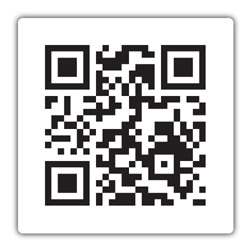 We can print barcodes in both small and large quantities, on both sheets and rolls, at a lower price than our competitors. Universal Product Code (UPC) labels are used to identify a wide variety of retail products. UPC labels are mandatory for most retailers so they can manage the products that are sold. 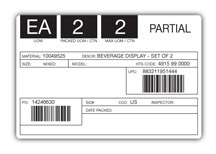 International Standard Book Number (ISBN) labels and International Standard Serial Number (ISSN) labels are often used to identify products produced by publishing companies such as books and the accompanying CD’s/DVD’s, computer software, and magazines. Quick Response (QR) labels, often seen in magazines and advertisements for companies, are used to convey a large amount of data in a relatively small amount of space. These labels can be scanned by users with free applications available on most smart phones. They are normally used to link the consumer to the company website to inform them about the product they have just scanned, but can be used to transmit an e-mail address, SMS text message, event details, contact details, and applications found on smart phones. Depending on the size of your order, we generally process and ship barcode labels within 1-3 business days.